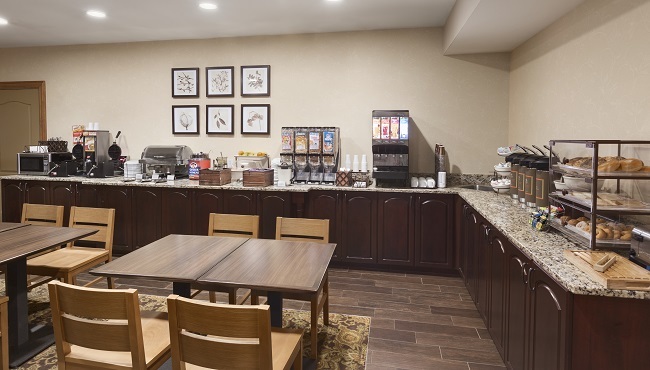 You’ll wake up on the right side of the bed knowing the free, hot breakfast is waiting for you in the dining area of the Country Inn & Suites, Smyrna, GA. Savor a plate of warm sausage biscuits, homemade Belgian waffles, fresh fruit and more. Sip on a second cup of coffee while perusing the free weekday newspaper. If you’re close to the hotel for lunch or dinner, check out nearby restaurants like South City Kitchen Vinings or Maru Sushi for mouthwatering Southern cuisine or teriyaki specials. Weekends, 7:00 a.m. - 10:30 a.m.